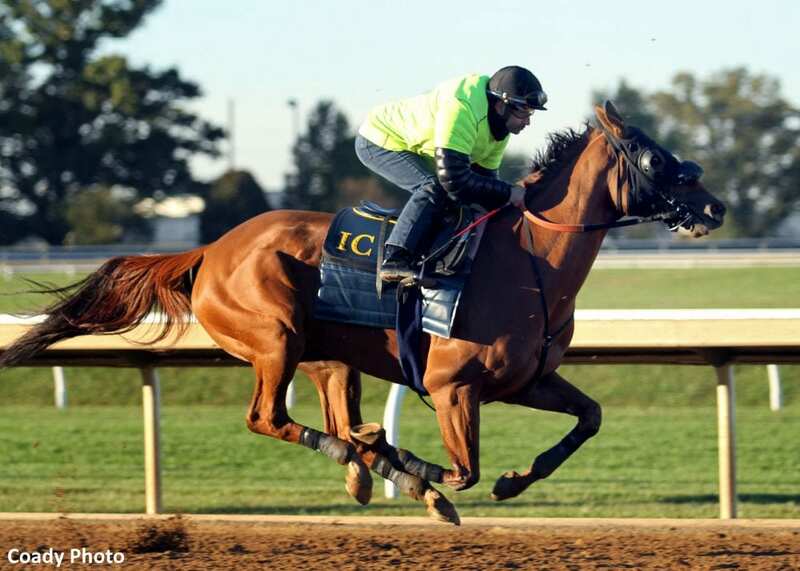 Merriebelle Stable's Blue Prize (ARG), winner of the Oct. 7 Juddmonte Spinster (G1), returned to the Keeneland work tab Friday morning with a 4-furlong work in :47.20 in preparation for the $2 million Breeders' Cup Distaff (G1) Nov. 3 at Churchill Downs. Joe Bravo, who rode Blue Prize in the Juddmonte Spinster for Keeneland-based trainer Ignacio Correas IV, was aboard the 5-year-old Pure Prize mare after the morning renovation break. Keeneland clockers caught Blue Prize's final quarter-mile in :23.20 with a gallop out of :59.60. Correas said Bravo will ride Blue Prize in the Distaff, being held at the track where she won the 2017 Falls City (G2) and the 2018 Fleur de Lis (G2) and Locust Grove (G3). In the Juddmonte Spinster, Blue Prize twice before the eighth pole ducked out sharply beyond the middle of the track. Bravo straightened her out inside the sixteenth pole and drew clear for a three-quarter-length win. Correas said Blue Prize would have one more work here next week – “I don't know when yet,” he said – and would ship to Churchill on Wednesday, Oct. 31. This entry was posted in Breeders' Cup, NL List and tagged blue prize, Breeders' Cup, Breeders' Cup Distaff, churchill, churchill downs, ignacio correas, joe bravo, Juddmonte Spinster, Keeneland, pure prize by Press Release. Bookmark the permalink.